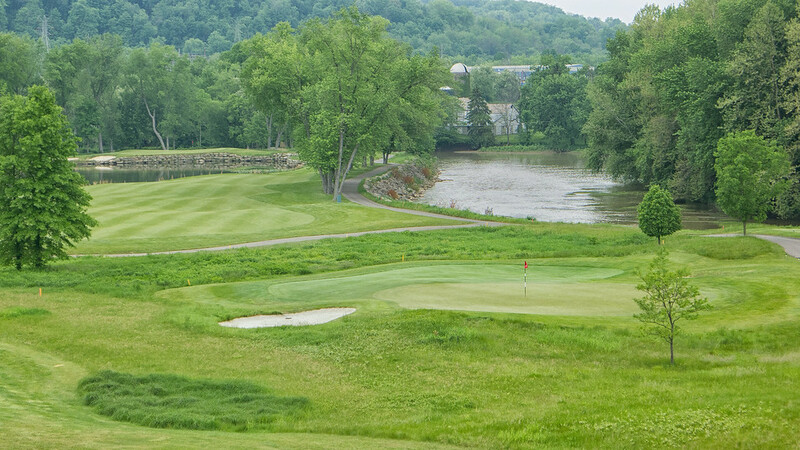 For those not familiar with Olde Stonewall, it’s a public golf course (with memberships available) in Ellwood City, Pennsylvania. It’s about 30 minutes northwest of Pittsburgh. 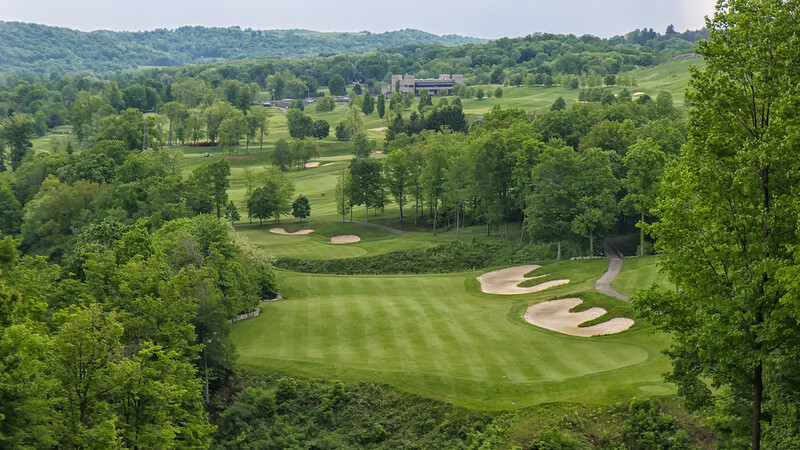 It’s been ranked as one of the best public facilities in the country by all the large golf publications; Golf Magazine, Golf Digest, Travel and Leisure Golf, and many others. 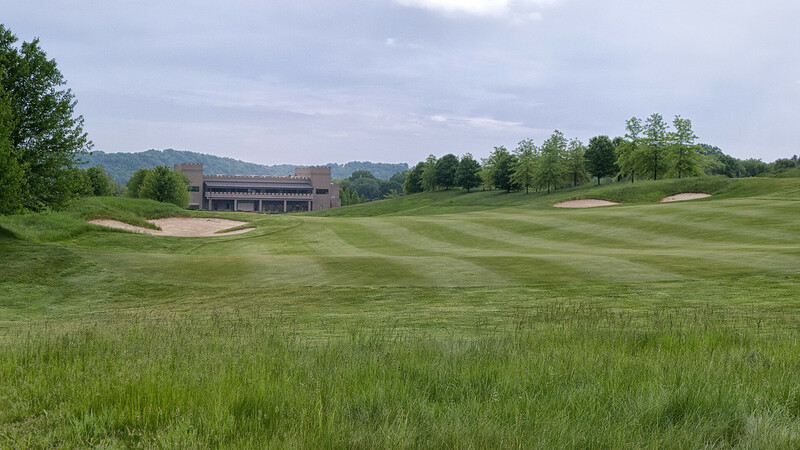 Olde Stonewall is also expensive by western PA golf standards. Best case scenario you’ll pay around $75 (off-season twilight or with a coupon), worst case you’ll pay $150. Is it worth the money? Are all the accolades justified? I’d answer with an emphatic “YES”. If you’re in the area and can swing it, do not miss this course. 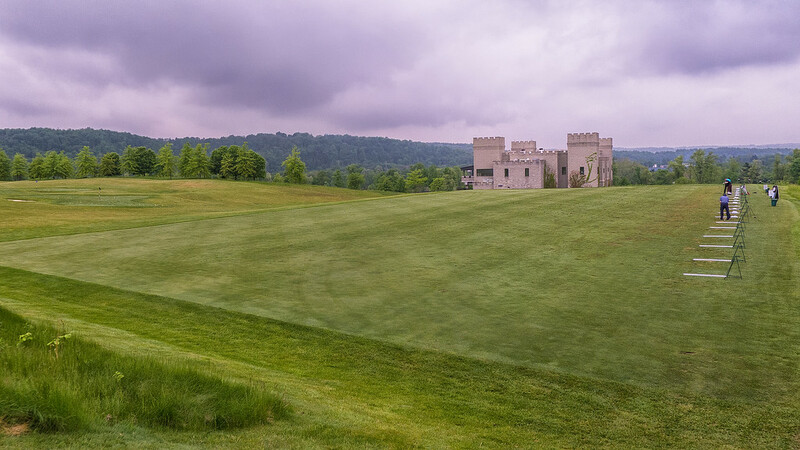 As you drive up to the course you’ll immediately be struck by the fact that the clubhouse is built to look like a medieval castle. Not only is the exterior built like a castle but when you walk in you’ll be greeted by a knight in full armor. The clubhouse comes complete with a full pro shop, plush locker room, and bar/restaurant. All that’s missing is a dwarf and you’d be sure you’d accidentally stepped into King’s Landing. The practice facility is also superb. It has all the amenities that any golf snob like me appreciates; pyramids of practice balls, target greens with yardages, and a full short game area. Topping things off is the large stone wall framing part of the practice range. Many of the better, higher-ranked golf courses around the country tend to be so difficult that they’re really not that much fun to play. Sand and water might make for a pretty golf course and it might make for some good marketing, but there’s not a lot of fun in shooting 100 and playing from the trees all day. At first glance Olde Stonewall appears to fall into this category. The slope rating from the white tees (aka Stonewall Tees) is 140! If you’re not familiar with slope, the minimum slope rating is 55 and the maximum is 155. Obviously this means Olde Stonewall should play pretty tough. In reality I thought the course was pretty fair and definitely playable. There are five sets of tees ranging from about 5200 to 7100 yards. While there is a lot of elevation change on the property, there are not many uphill and/or blind holes. I would also characterize the fairways as “generous”. There is definitely trouble off them but they are wide enough to forgive minor inaccuracies. This is an area where Olde Stonewall possibly suffers from its own success. In trying to think back about my round, my gut instinct was that there weren’t many memorable holes. In thinking about it a little more however, it dawned on me that just about all of the holes are so good that it’s hard to pick out any in particular. It has just about everything; drivable par 4’s, long par 3’s, reachable par 5’s, and so on. If you wanted to nitpick I suppose you could say it lacks that short, risk/reward par 5, but I’m not sure that that’s a bad thing for most average golfers. One of the most spectacular views on the property (and any golf course for that matter) is the view from the tee on the 16th hole. Even if you have no intention of playing from there, do yourself a favor and take a drive up to the “Epic” tee and look down. As a photographer I hate to say that my picture doesn’t do it justice, but it really doesn’t. The view is breathtaking. It feels like you’re on top of the world. I’d play the course again just to enjoy it. They spared no expense when building this place. The clubhouse (as described above) is spectacular. Even the maintenance building is a castle. There are flowers everywhere. The day I played their army of a maintenance crew was repairing an area that had some minor damage from the prior evening’s rain. I heard there are 250,000 limestone blocks around the property and they alone cost over $2 million. Some courses cut corners; not Olde Stonewall. The course is immaculate. The tees, fairways, and greens are as good as you’ll find anywhere. The fairways are the kind you feel slightly guilty taking divots on they’re so perfect. And it’s not just course conditions that they get right. There are GPS units in all the carts. You can order food at the turn from the 9th tee. There is friendly and efficient service from the cart girl. 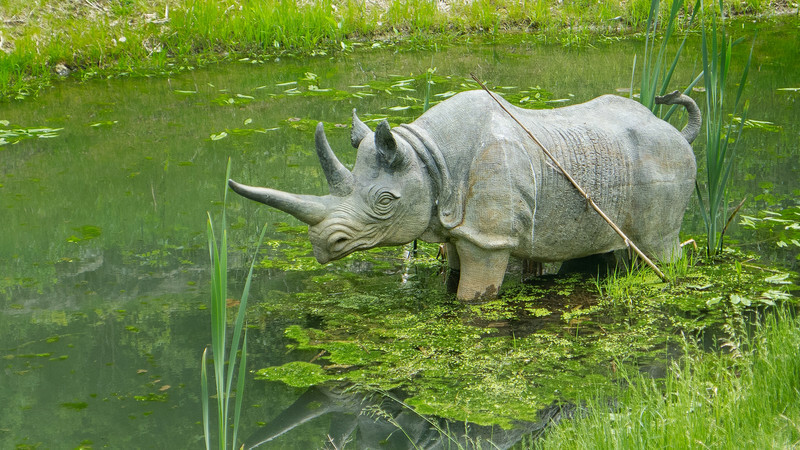 The course has every amenity you’d expect and more. The views alone make it worth the visit. 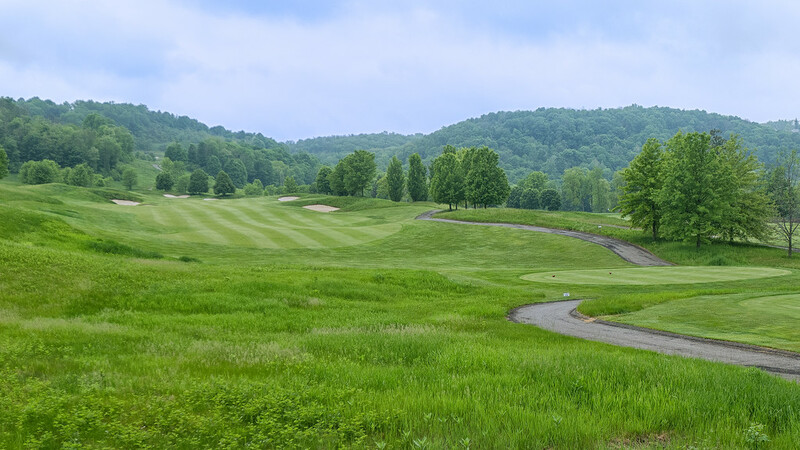 In thinking back about my round at Olde Stonewall it dawned on me that many of the famous courses in the U.S. have some sort of visual landmark. Harbour Town has its lighthouse. Bandon Dunes has the Pacific Ocean. Oakmont has the Church Pews. In the case of Olde Stonewall, they have limestone boulders and lots of them. I’m not sure that Olde Stonewall will ever get the press that those other courses do, but they should. It’s that good and a must if you ever find yourself in Pittsburgh. If you enjoyed these photos and would like to see more of this course and others, please visit my website. Feel free to use any of the images as your desktop wallpaper.